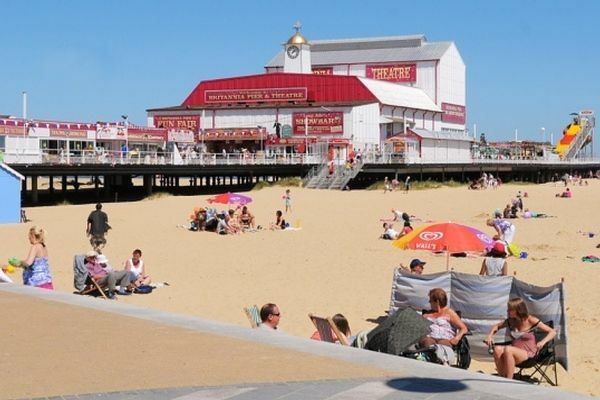 Find out more about Norfolk's award winning beachs. This is an extremely long beach, stretching for miles, backed by sand dunes and sea defences. It is a sandy beach, but does also have a lot of pebbles as well so it's not the most comfortable to walk on without shoes. 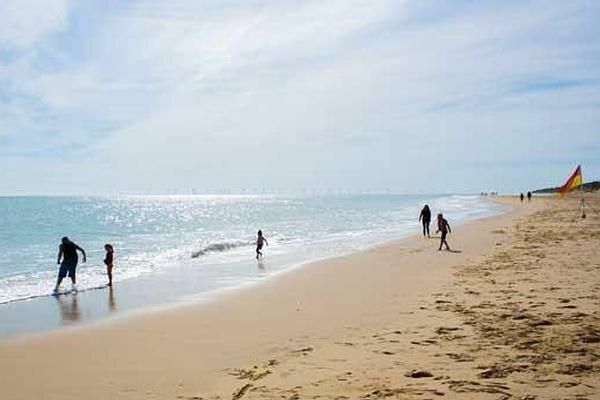 You’ll find beaches with more pure sand further up the coast at Winterton on Sea, Sea Palling, and Waxham. 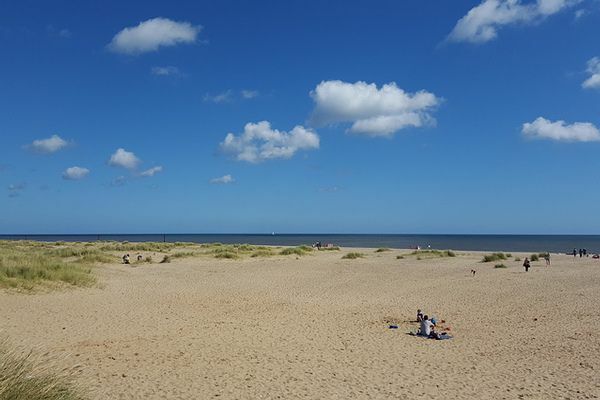 Just along from Holkham you'll find award-winning dog-friendly Wells-next-the-Sea, also part of the coastal nature reserve. At low tide, children will love splashing around in The Run, which you can walk a mile or so out to its end. Head back when the hooter signals the incoming tide. 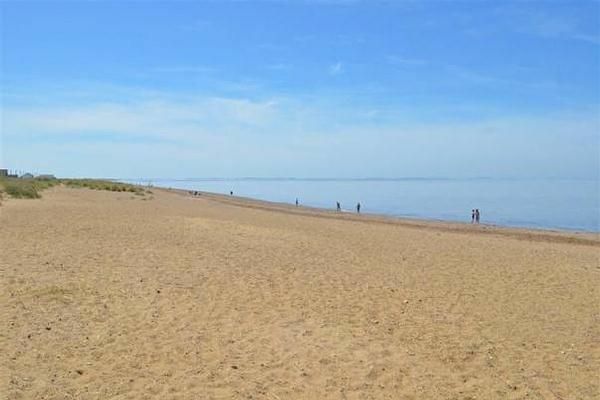 Hunstanton beach faces west and so is one of the sunniest resorts in Norfolk. With that brings dramatic, beautiful sunsets. 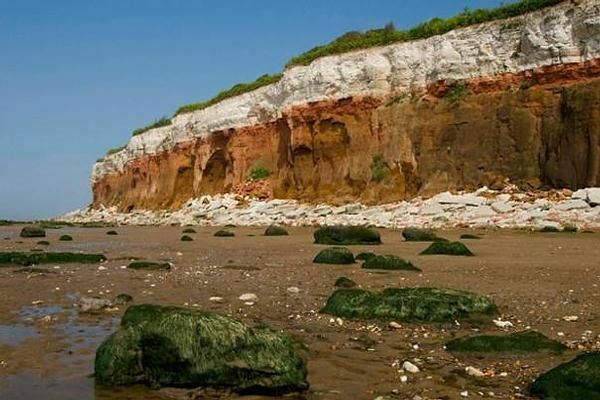 Hunstanton, or Sunny Hunny, is an elegant Victorian resort, and is most famous for its striped cliffs, providing an amazing back drop to the beach. 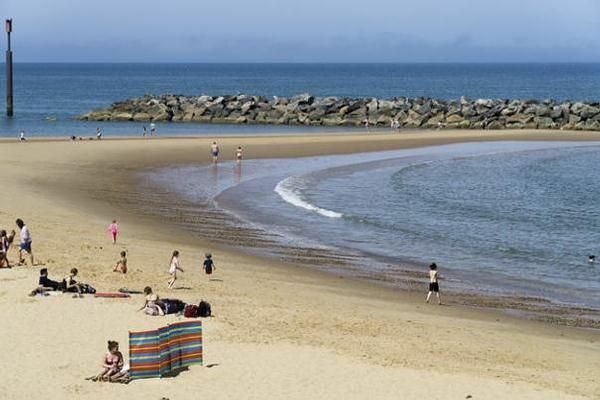 The large sandy beach is ideal for families with rock pools to explore. Heacham: Three miles along the coast is Heacham. Its north and south beaches face west and look out to a huge 20 mile bay. The water here is shallow and sheltered, ideal for children, as well as providing a perfect area to see impressive sunsets. 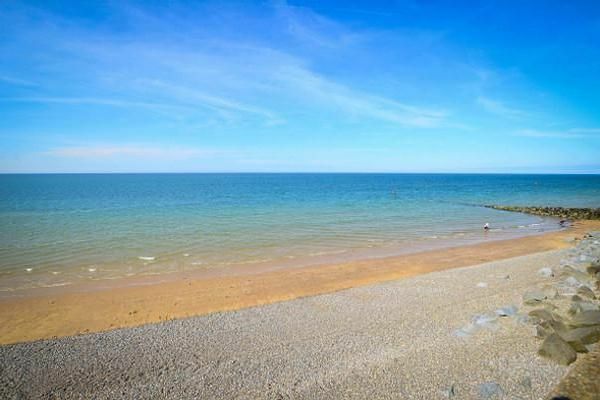 This Blue Flag beach set in a traditional seaside resort, is well known for its fine seaside setting and cliffs surrounded by picturesque wooded areas to the north with views over the sea. When the tide is out, the sands and rock pools of this pebbly beach are revealed, perfect for exploring. 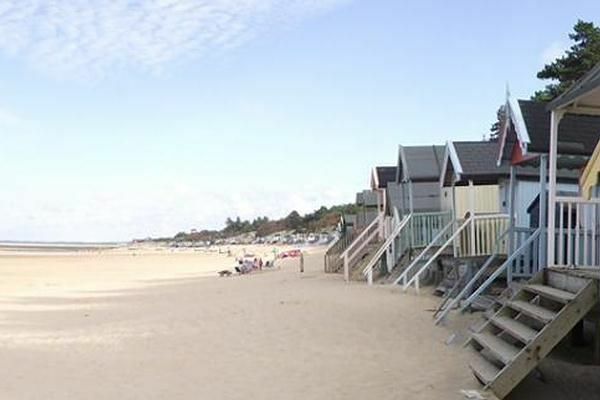 One of the most eastern beaches on the north Norfolk coast is Blue Flag beach, Sea Palling. 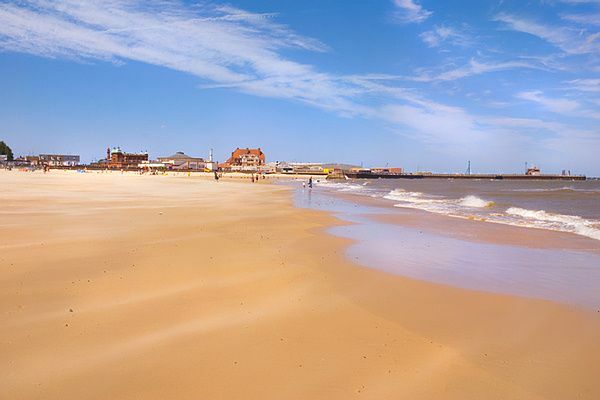 This is a wide sandy beach with a series of shallow bays formed by man-made offshore reefs which calms the waters, making it safe for small children.